Property 2: Restored Casa with large garden and private pool in hilltop borgo. 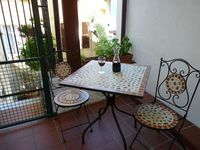 Property 7: Comfortable house with garden near the center of Camaiore! Property 18: New villa with pool and large garden in the beach. Property 19: House with direct sea view. Property 20: Lovely cottage close to the beach with a beautiful garden. Air conditioner. 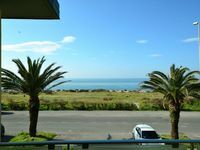 Property 21: Rustico in panoramic position, terrace with sea views. Property 22: Lovingly Renovated Mountain Village House With Pool! Property 31: Small cozy cottage with garden and terrace. In a calm neighborhood. Property 33: Rustic villa in tranquil setting, Cinque Terre 20 mins by train from Aulla. Property 35: Semi-detached house with beautiful private garden located in Camaiore !!! Property 39: New beautiful villa, close to the sandy beach. Large terrace. Garden. Property 45: Rustic style with wonderful sea view! Property 47: House with beautiful garden, very well-kept. Top location. Property 48: House for 4/5 people with stunning views to the sea.